A Databoard is a dashboard (report) that consists of Datablocks. 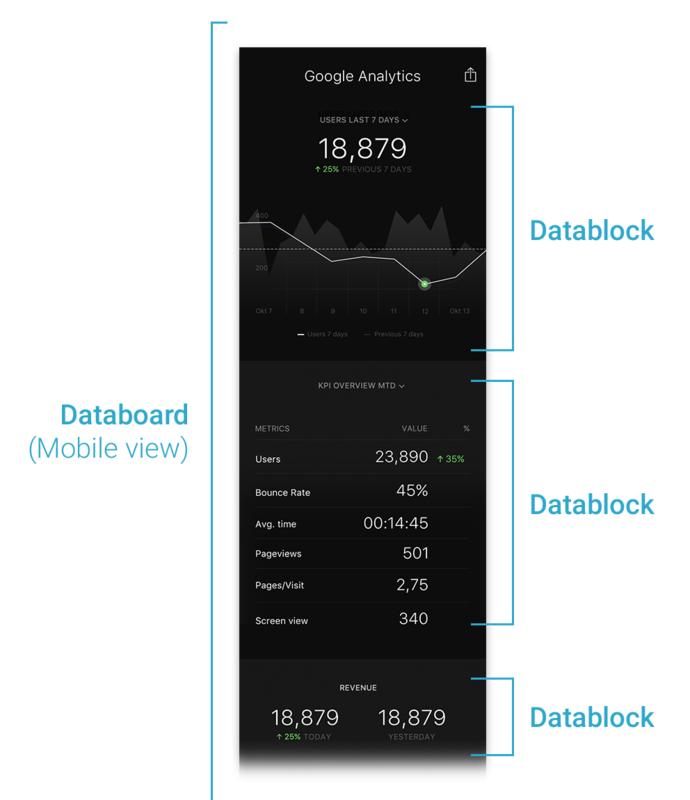 Each Databoard has a optimized Mobile view, that can be viewed on our native mobile apps for iOS and Android. 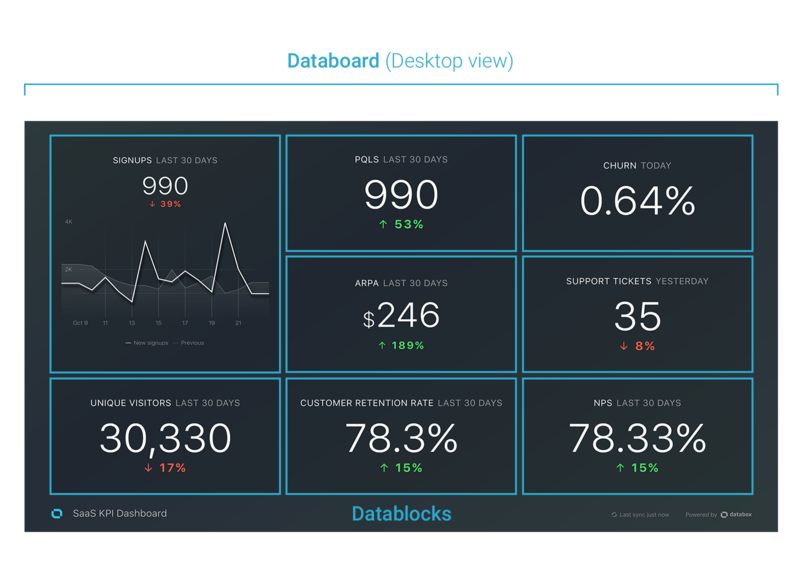 This view, optimized for desktop or TV screens, gives you a full overview of all your KPIs, at your desk or in meetings.